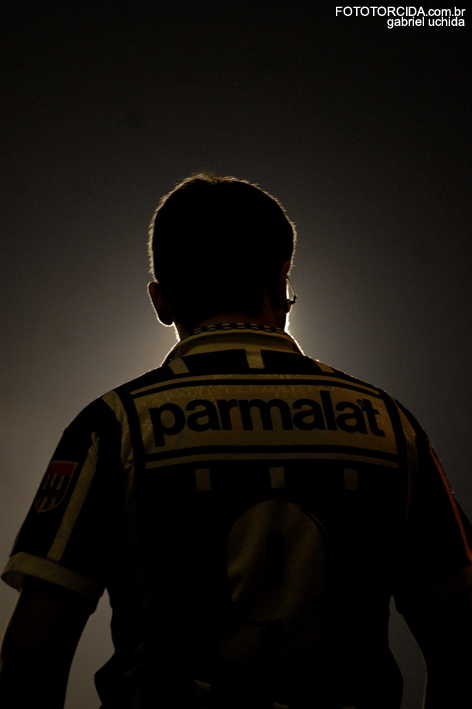 We all know that the heart and soul of any football team are made up of their supporters. 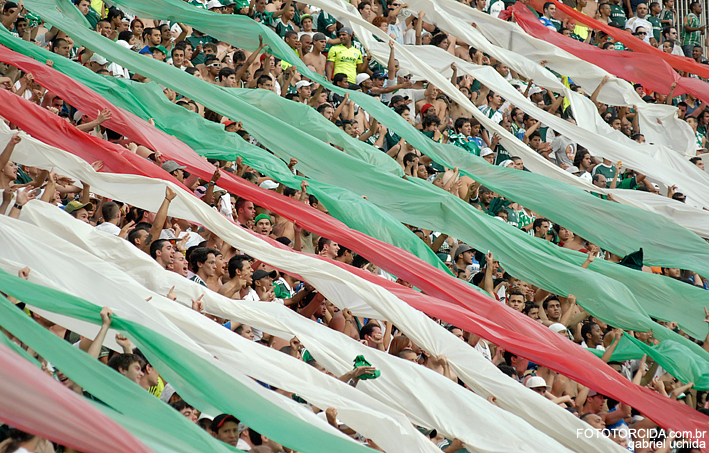 We also know that the strongest manifestations from supporters necessarily take place at the stadium. Gabriel Uchida – the man behind the unique fototorcida photo blog – is tirelessly in pursuit of documenting these manifestations through his lens. Kindly responding to a request from Anything Palmeiras, Uchida has selected a few pictures to illustrate the Palmeiras year gone by. The words accompanying are his own. Enjoy the read and the pictures. 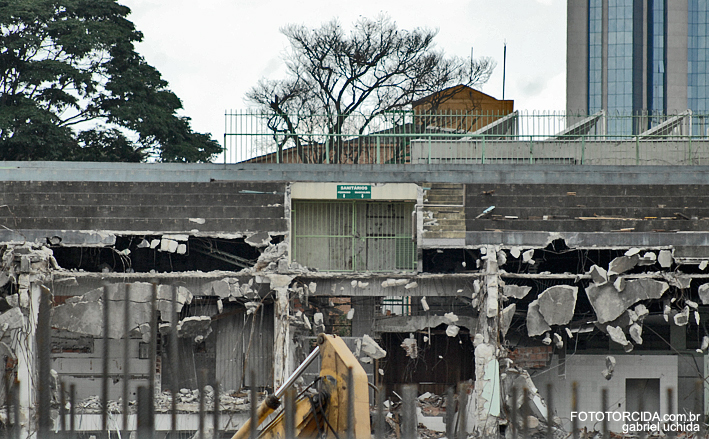 The year 2011 is gone. 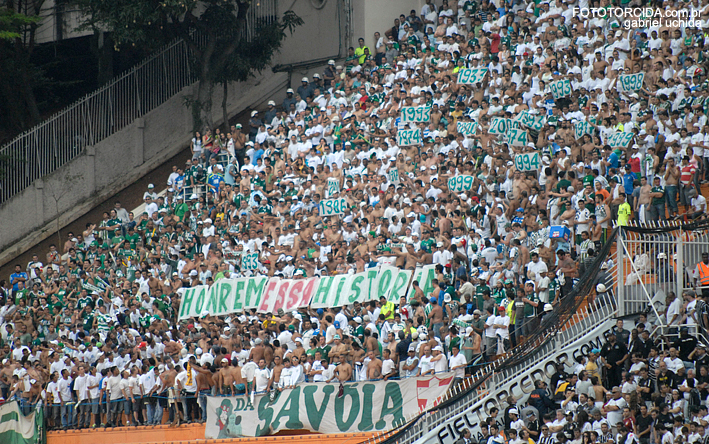 The first thought of all Palmeiras fans is “Fortunately!”. They can now breathe more calmly, they can be relieved that the nightmare is over. Those boys from the blessed place where football was born used to sing “it’s been a hard day’s night”. For Palmeiras it’s been much worse. Not for losing an important Cup title – these things happen – but for being a year of shame and disgrace, a dirty page of a otherwise glorious history. This dark episode can’t be repeated again. Never. Is it possible to highlight something good in a list full of tragedies that don’t even deserve to be mentioned? What to remember from such a painful season? The supporters, of course. They were always there for the club. Defeat after defeat they never stopped fighting. Some fans may have given up and others may have gotten too tired. 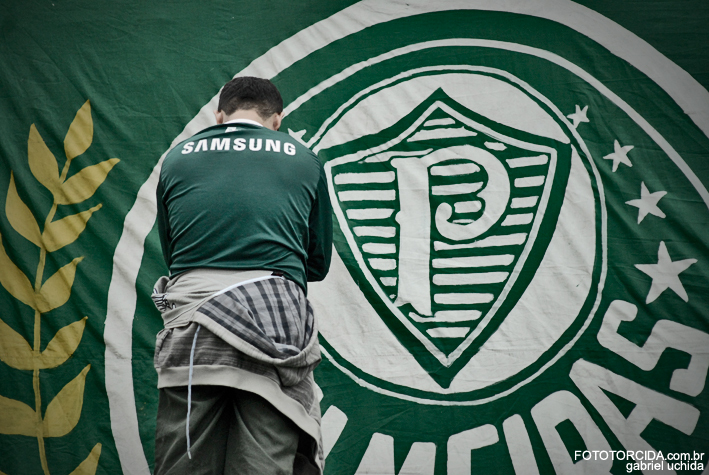 But there are a lot of brave souls who love Palmeiras and live for this. People who really gave their blood and would do it again and again for Palestra Itália. TIME Magazine chose “the protester” as “person of the year 2011”. 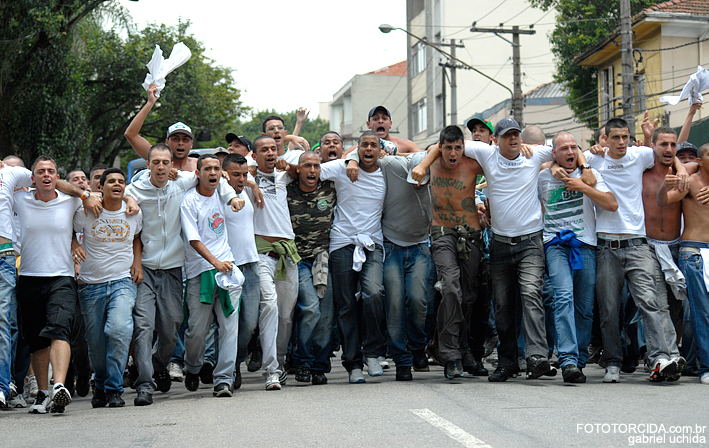 Who else in the whole world spent his time fighting and protesting more than the Palmeiras supporter? It was an entire year on the battlefield. On the other side was the media, the police, rival fans and players, the authorities and even some Palmeiras players and traitors. At this point supporters may be tired but rest assured they won’t give up. 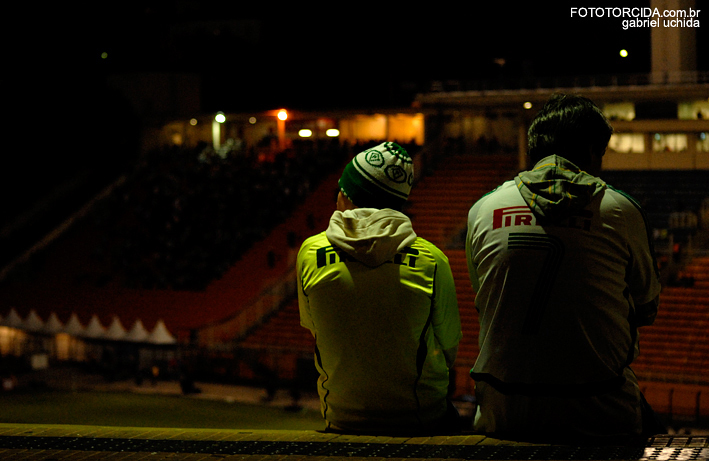 It was a tough season and the next one can be worse but they will always be there for Palmeiras. Avanti Palestra!